Call us at 409-763-7025 today! At Physical Therapy Services, (PTS) our experienced staff is dedicated to providing you and your family progressive physical therapy with that special vintage caring absent in many healthcare settings today. We will provide you with personalized, effective, state-of-the-art rehabilitation that gets you back to your normal, active life. Our physical therapists will listen to your concerns, design your individualized course of action, help you reach your goals and keep your physician informed along the way. At PTS, we make it as easy as we can for you to get the care you need. 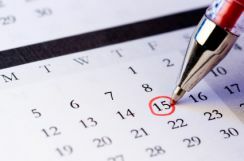 We offer convenient appointment times to fit your busy schedule, including early morning, lunch time and evening hours. Initial appointments are usually available within 48 hours, and you are seen promptly at every visit. Our facility is wheelchair accessible with convenient free parking. Physical Therapy Services is a family owned private outpatient physical therapy clinic. We have served your Galveston area neighbors for over 40 years. Experience the benefits of Progressive Care with Vintage Caring. Do what your friends and neighbors have already done when they needed physical therapy: give PTS a call today. (409) 763-7025. Click here to learn about why we are the right choice on your road to success! Click here to learn more about our talented team of therapists!